Nowadays using computers, phones and tablets have become one of the key tools of everyone’s life where they are used for various tasks in all parts of somebody’s daily activities. Among these tools, the iOS systems have become one of the most popular ones nowadays, where Apple has been done many innovations and is known for its products. Many people use them from communication to handling different duties online, where in many cases you might need a screen recording app that is able to capture the activity on your screen, so you can be sure to make a copy of an important online video meeting, or create a video description about how to use a specific software to show it to your students or friends, and so on. It is fortunate that many such display recorders are available nowadays, which you can thoroughly examine through this article. 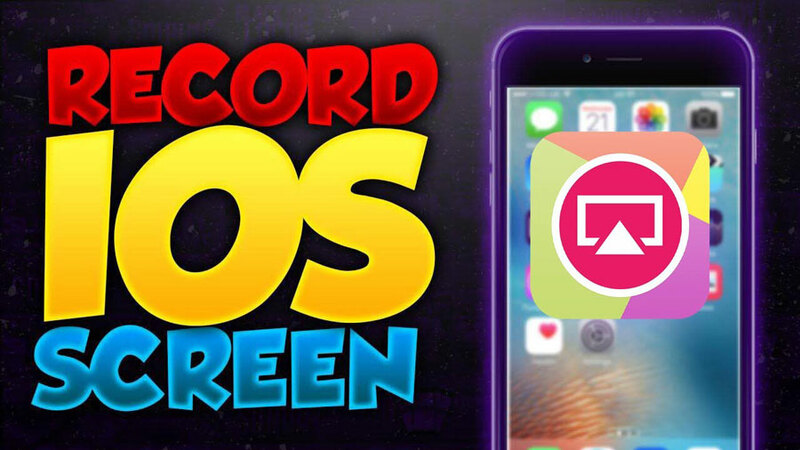 Whether you are a newbie exploring the world of screen recording or a professional with targeted approach and already decided goal about what you wish to capture and what sort of effect you want to include as an additional enhancement on your digital content, you can have a try at Filmora Scrn that is known as a great and useful screen recorder especially for Mac. The software is specifically used most of the time for games but it can actually handle any sort of activity that is able to be recorded from its nature. The software is really easy to be utilized that was basically the aim of the developers, so that it can address the need of many people who are looking for smooth recording as well as video editing features. 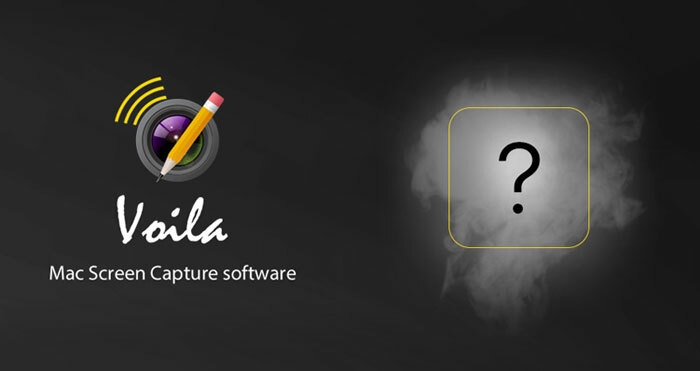 Voila is an additional mentionable tool that gives great joy to any user who wish to explore his or her way on the screen recording options market as it is giving a great possibility with features that are unlikely to be found within each of the other competitor solutions. Although this tool comes with a price, in case you decide on purchasing it, then you get access to flexible screen capturing options where you are able to record anything that is essentially happening on your display together with real-time applicable effects where you can edit as well as annotate the video that is being created on a very flexible and variable way. Whenever you need to capture an activity you can directly deploy the available shortcuts and just press a button to initiate the capturing within a second. 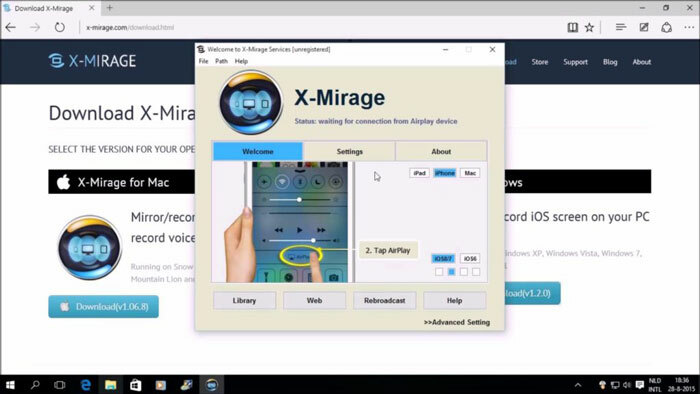 X-Mirage can be considered as one among those apps which are truly used for professional purposes in the field, however for the professional functions, in case you wish to initiate the screen recording app download, you need to pay a specific price as it is not a free tool with so much benefit to give you. The tool is completely functional on both Windows as well as Mac devices which is another beneficial characteristic, where it gives a very smooth operation with streaming option for projecting your content in a wireless way via W-FI, as well as setting up the mirroring process of your iOS device in no time. 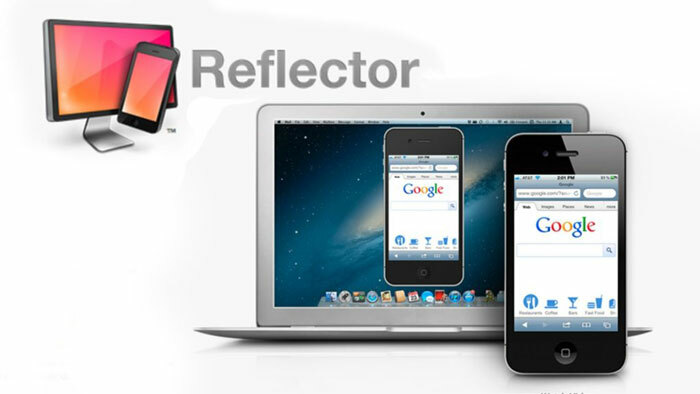 Reflector is within the popularity of the public mainly because it serves as a great streaming as well as mirroring application that is able to connect any iOS external devices to the computer for this purpose, where it also makes it possible to efficiently manage all the connected systems from one point. The mirroring after the connection takes place directly in real-time which makes it a lot easier to do all the capturing with a comfortable and direct manner. This tool also helps with adding a voiceover to the creation that is being mirrored, which makes it relevant to capture explanatory videos with the screen activity. 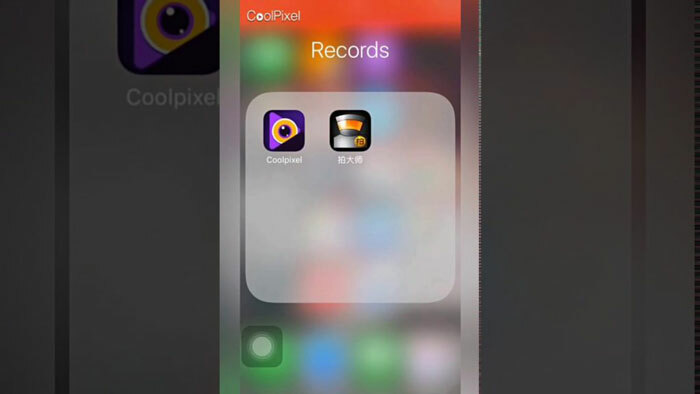 CoolPixel is the next tool on list that is highly ranked among the users’ popularity mainly because it is a screen recording app download free and is a tool which is a combined solution that includes both the highly desired video capturing as well as a video editing feature. 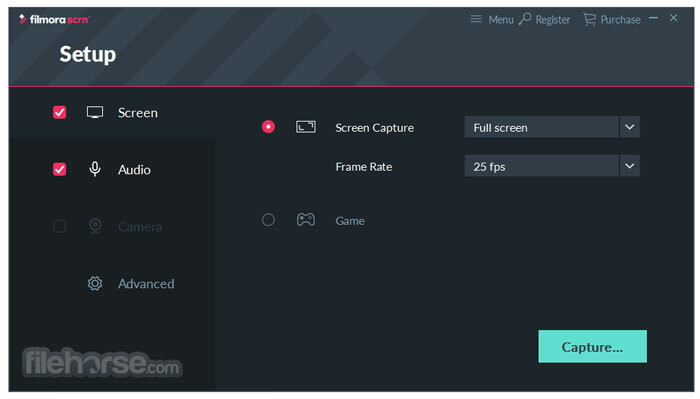 Although this is an efficient screen recorder especially when it comes to games, however it is important to note that the tool is not able to record the audio settings set up in the game of your choice which is a big drawback. On the other side, the tool compensates for this issue with offering a lot of highly relevant filtering effects which you can include in your videos together with the usage of subtitles as well as other modifications such as dragging and cutting. Another mentionable screen recorder iPhone that can be used to capture highly clear gameplay activity on your iOS 7.1 system or above is the Dr.Fone program, that is nowadays very popular among the majority of the users who are looking for an app that can do such efficient screen recording process. One of the might beloved feature of the tool is that it offers a one click starting function which is very comfortable for its usage and can straightforwardly help the users to do their recording. 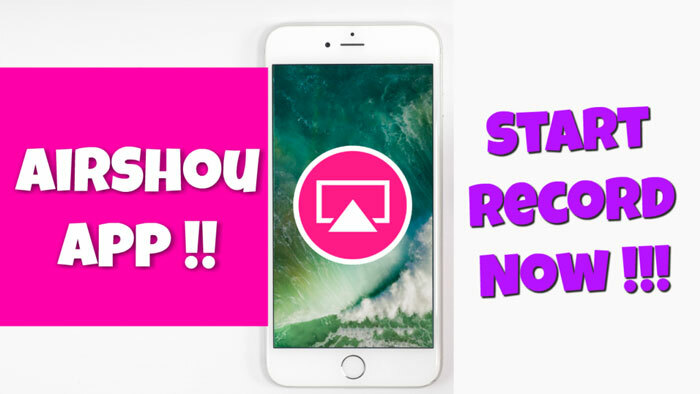 It is fairly easy with this app to create any sort of videos due to that there are many individually tailored options which users can enjoy to have the best experience. The AirShou app is a famous application that is specifically designed to be utilized on iOS devices from iOS 9 and above. This is a screen recorder app free that is readily available to be used to capture your activities and initiate the recording with one little click after you open the app’s interface. The tool runs smoothly in the background while you are doing your process, and provides high quality outcome for the created recording, therefore it is popular to be used for more needy apps such as highly audiovisual games, but it is important to note that for the audio part this app captures with lots of noise and makes it hard to hear the relevant audio during the capturing. Among the many solutions that are able to be used as a facilitator for display recording one of your iOS device regardless of whether it is an iPhone or an iPad, Apple’s own AirPlay function is a very important to be noted solution which can have a very smooth transferring of the ongoing activity of your iPad or iPhone to directly the computer’s bigger display, and by that therefore giving the opportunity to have continuous simultaneous projection on the bigger screen which can afterwards be easily controlled and recorded. 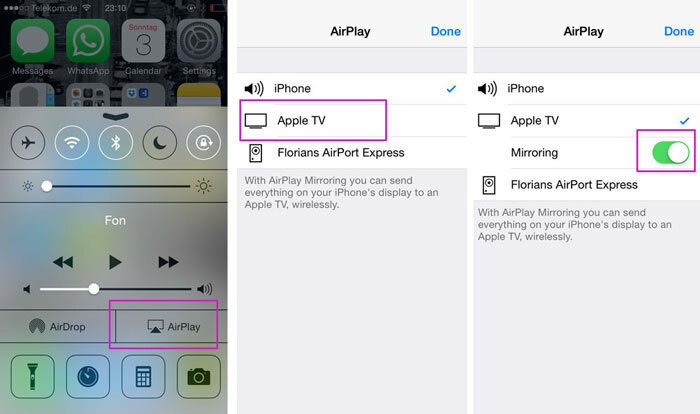 Due to this, the utilization of AirPlay actually became the basis of screen recording on iOS devices in many cases, and has seen a significant increase in its popularity since its development. Screen recording nowadays become an activity that is very popular and frequently looked for. This naturally gave birth to many screen recording solutions such as specifically designed iOS related display recorders that utilize mirroring and wireless screen projects. 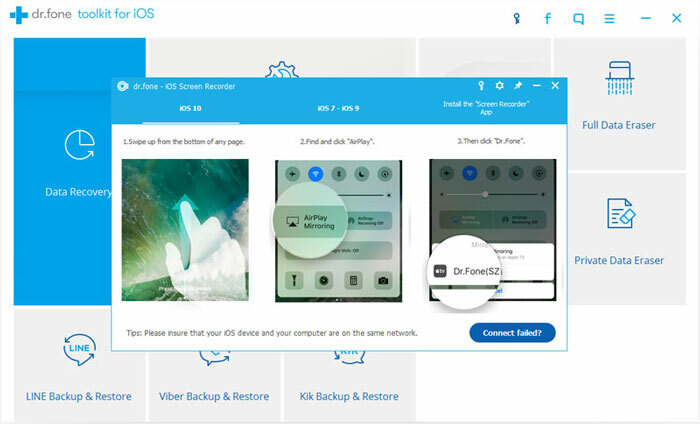 As most of these aforementioned solutions have diverse applicability and features, it is up to you which one you use for your own advantage, but you definitely advised to have an eye on the Dr.fone software as a worthy partner for satisfying all your needs on the display recording field, especially when it comes to iOS devices.